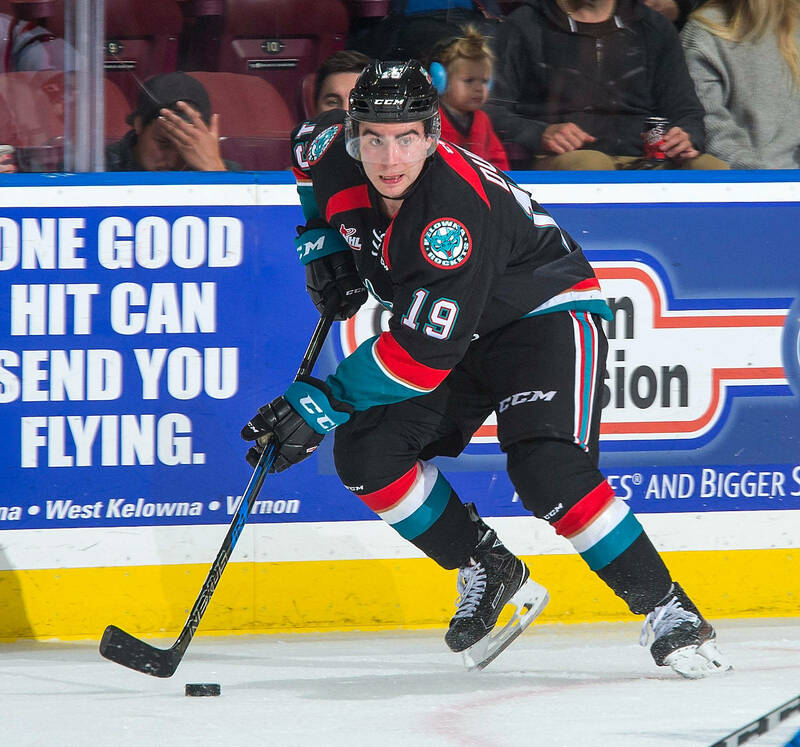 Oct. 24, 2017 12:40 a.m.
Last week, Dillon Dube was one of three Kelowna Rockets named to Team WHL’s roster for the upcoming 2017 Canada-Russia Series. As an added bonus, the 19-year-old forward was named Tuesday as captain of the WHL side for the two-game set Nov. 6 and 7 in Saskatchewan. The Canadian Hockey League stages the Canada-Russia series each year as part of the evaluation process for selecting Canada’s roster for the world junior hockey championship. Dube, who played with Team Canada last year in Montreal and Toronto, was excited to get the nod as Team WHL’s symbolic leader. 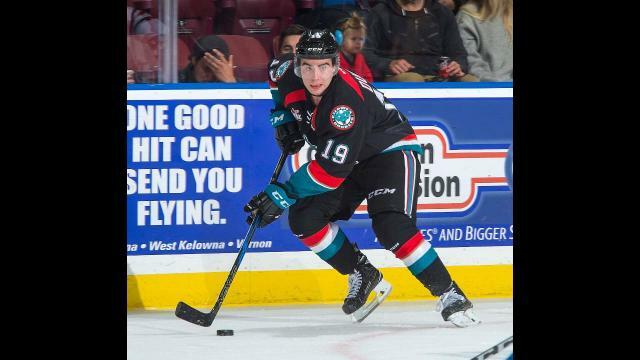 Rockets teammates Cal Foote and Kole Lind will join Dube on the Team WHL roster for the CIBC Canada-Russia series. The series spans six games and also includes the Ontario Hockey League and Quebec Major Junior Hockey League. The two games featuring the WHL will be played Nov. 6 in Moose Jaw and Nov. 7 in Swift Current. With the discomfort of a five-game winless streak behind them, the Rockets will host the Tri-City Americans Friday at Prospera Place. Face off is 7:05 p.m. The Rockets (5-5-1-1) snapped out of an early season funk Saturday with a decisive 7-2 win over the CHL’s No. 1 ranked team, the Portland Winterhawks. After struggling with consistency over most of the previous five games, head coach Jason Smith said his club turned in one of its better efforts of the season. “It was a complete game and a complete team effort,” said Smith. “We did a lot of things well from a team aspect, our work ethic was good, and any time you do that you get results. Our consistency was wavering a bit and we needed to fix that. On Saturday, the Rockets close out a four-game homestand against the Prince George Cougars.